At Select Resume’s, we often hear from, for example, nursing and teaching graduates, who want to apply for their first qualified job, but fear they have little to show on their resume by way of experience. The fact is, they have built up plenty of tangible experience by way of practicum teaching or clinical rotation nursing placements, and this is as relevant as any paid work. Conversely, some graduates have built up a lot of work experience but do not know how to express it clearly. However, it really does not matter where you fall on the spectrum, as long as your graduate resume captures the employer’s interest and makes a great first impression with substantiated content in the six seconds they spend reviewing it (do not worry about the six-second thing – we have that covered). Your educational profile should be leveraged to the fore to show that you have completed – or about to complete – your degree or diploma and are ready to enter the workplace. Make sure you state your degree title and the university correctly. We suggest that you highlight your academic achievements by providing some detail about your course major, key subjects and any good results or substantial projects you completed. If your degree is completed, list four to six main subjects, the ones for which you achieved best results, and the ones most relevant to the position you are applying for. Do not include your transcript unless asked to do so. Beyond your educational qualifications and work practice whilst studying, the prospective employer will want to know about you as an individual – what are your core strengths and beliefs. Are you a good communicator? Can you work well unsupervised or within the structure of a team? Are you flexible to changing demands? Do you possess critical thinking skills that enable you to use your initiative under pressure? These qualities are all essential elements to be weighed up as well as your academic record. 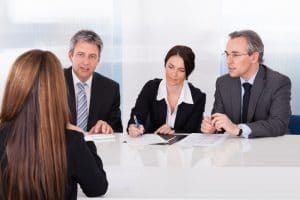 When it comes to your employment record, there is some argument as to whether or not to include jobs you may have held outside the direct remit of the position you are targeting or with no direct relevance to your academic studies. There are good arguments for inclusion though. You may have held a retail or labouring position that demonstrates some of the personal skills mentioned above and that underline your commitment, dedication and other personal qualities that are indeed pertinent to both your field of study and the role being targeted. But we will help you decide what to leave in and what to leave out. When you engage with us to produce your resume and cover letter, we will carefully go through your existing documents before having our comprehensive telephone consultation with you. We also ask you to fill out a short form which further focuses your objectives and achievements. By the time we speak with you, we will have a very good measure of you and where you want to be in the short and long term. You will have had a chance to look through our comprehensive selection of exclusive resume design templates that have been carefully constructed to create professional impact and get you past that six-second-scan mark mentioned above and ensure that the recruiter actually reads that first page. From there, your professional, experienced writer will create your documents that pull together all your qualities using language and keywords that are congruent with the position on offer and the industry you are targeting. Our ultimate aim to get you before the selection panel at interview stage and we’re very good at doing so. 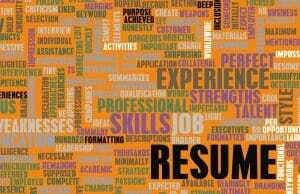 Your graduate resume will be the tool that gets you there, and you only get one shot that position, so it is vital it does the job and does it well. Call Select Resumes today for an informal chat about how your graduate resume can take you to the next stage.